Let's be honest: the Romantic Road isn't all romantic. 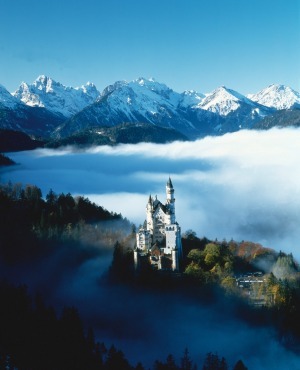 The tourist route was dreamed up as a post-war marketing ploy, anchored at its southern end by King Ludwig II of Bavaria's famous fairy-tale castle at Neuschwanstein. Things ended badly for the king, who went insane, was deposed, and drowned in mysterious circumstances in an alpine lake. 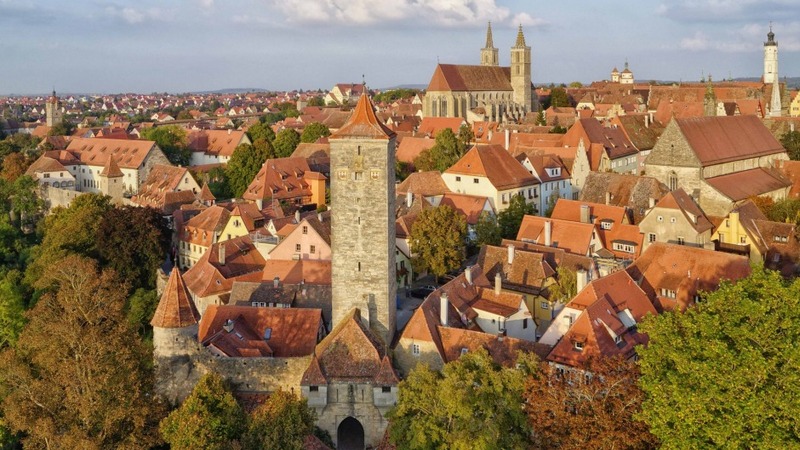 It was no fairy-tale ending either for many of the proud medieval trading towns linked by the Romantic Road, as you'll discover. Still, sad endings are the modern tourist's gain. Expect baroque palaces, ruined castles and pretty country churches along this 300-kilometre route through southwest Germany, all enveloped in woodlands and vineyards and backed by the Bavarian Alps. Glorious walled towns, abandoned by the shifting focuses of the centuries, survive almost intact. The regional cuisine survives too. This is a fat, fertile destination offering good wine and beer, hearty food and lashings of rich, satisfying history. Much of the Romantic Road follows old north-south trading routes. Füssen was the first stop across the Alps on the road from Venice. Although it sits in the shadow of Neuschwanstein Castle it gets a fraction of its visitors, despite a very agreeable old town topped by a fortress. Echoes of Füssen's long history are everywhere. Pedestrianised main street Reichenstrasse follows the line of the old Roman road, and where the medieval fish market once stood a restaurant aptly called Il Pescatore serves good Calabrian-inspired seafood. The old 1480s Markthalle has food stands and delis beneath beautiful arches, where local office workers and visitors alike enjoy glasses of wine, Turkish salads or sausages with pretzels. At Hotel Hirsch, try the local dish of slow-simmered beef with horseradish, potatoes and root vegetables, or Allgäuer Kässpatzen, a regional spaetzli with spicy cheese and melted onion. Take note of the Stammtisch, the corner table sans tablecloth used by local men to drink beer and set the world to rights, common in restaurants across Bavaria. As you head north along the Romantic Road, stop in Landsberg for a wander through gabled houses and gilt-draped churches before kicking back in the town's top beer garden Lechgarten right on the river, which has a particularly pleasant party vibe at weekends. Fifty kilometres further north is Augsburg, which flourished as a wealthy medieval banking and trading city and powerful bishopric, and retains its buzz thanks to a university and surrounding industries. Its well-heeled population supports a thriving dining scene. Die Ecke (restaurant-die-ecke) focuses on traditional Swabian dishes but adds deft touches of the Mediterranean and far-from-rustic plating. The venison is superb, and the trout with rocket pesto and zucchini noodles is prettily flower-sprinkled. Perlach Acht (perlachacht.de) takes Mediterranean- and Asian-influenced café food to another level with the likes of spicy corn-and-coconut soup, swordfish with roasted cashews and mango, and prawns with fiery salsa. Several superb old towns should be next on your itinerary. Free imperial cities answered directly to the Holy Roman Emperor but were otherwise at liberty to conduct their own affairs. They controlled trade between Italy and Germany and saw the emergence of a wealthy merchant class which constructed fine houses, storerooms and churches. One of these, Dinkelsbühl, has an almost perfectly preserved medieval and Renaissance core enfolded in walls with 18 towers. It has a fine Gothic church and beautiful frescoed houses surrounding a market square buzzing with cafés. As touristy as the pretty, frescoed 1440 Deutsches Haus might seem, its Altdeutsche Restaurant (deutsches-haus-dkb.de) gets a Michelin bib gourmand (an honour that highlights restaurants with high-quality food at a reasonable price) for its Franconian roasts and dumplings and more international alternatives such as venison in walnut crust, or prawns with lobster-coconut foam. The wine bar at Gästehaus Appelberg (haus-appelberg.de) is housed in a steep-roofed, fifteenth-century farmhouse, and is great for rustic sausages and pork and wine. At Weib's Brauhaus (weibsbrauhaus.de) you can sit in the shade of a chestnut tree and enjoy its potent, full-bodied wheat beer created in copper vats. A pleasant tour takes you to the brew house and fermenting cellar. Feast on Swabian braised beef with onions and spaetzli or in season (September to April), roast carp or beer-braised pork tenderloin. Dinkelsbühl, though wonderful, gets a fraction of visitors of its more famous cousin Rothenburg-ob-der-Tauber (rothenburg.de) up the road. The fourteenth-century town is another delightful tangle of cobbled squares, geranium-draped houses and old walls. Its local speciality is the snowball (Schneeball), a variation on the doughnut. Look for those with dimpled surfaces created by their liquor content, since these are made in the more authentic traditional manner. Gasthof Goldener Greifen (gasthof-greifen-rothenburg.de) inhabits the house of a medieval mayor of Rothenburg and has hearty regional dishes such as Maultaschen (like cannelloni) or roast pork shoulder with potato dumplings and cabbage. Villa Mittermeier (villamittermeier.de) favours local ingredients and slow food and has an extensive list of Franconian wines. You can dine in the wine cellar or in the sun on the terrace on dishes such as roast cauliflower salad with goat's cheese and citrus fruits, or Iberico pork with beans, pear and bacon. From here, the Romantic Road wanders northwards through the pretty agricultural landscapes of Franconia, named for an ancient duchy and it retains its own dialect and cultural traditions. 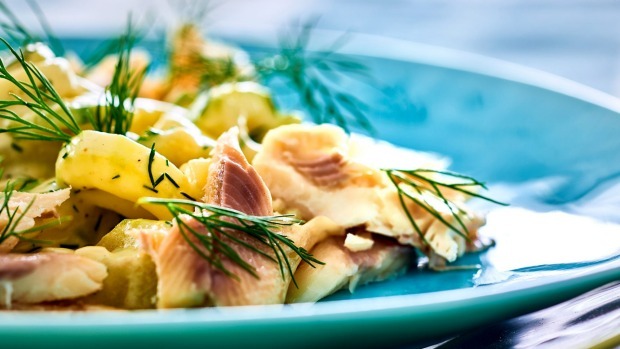 It has a distinctive regional cuisine too that includes the likes of liver-dumpling soup, beef braised in red wine and Meefischli river fish, eaten whole. Franconia is also the name of a German (and Bavaria's only) wine region, noted for producing mostly dry white wines, mainly Müller-Thurgau and Silvaner. Its Silvaner is probably the world's best. The Romantic Road ends at Würzburg, surrounded by voluptuous folds of Franconian vineyards on the Main River. It's another classic Romantic Road city, beautiful and relaxed. Its immense Residenz palace, once the seat of independent prince-bishops, is considered a masterpiece of European baroque, and erupts in frescoes, mirrors and naked nymphs. Bürgerspital (buergerspital.de) is one of Germany's oldest and largest wine estates. It was founded in 1319 and is where the uniquely shaped Franconian wine bottle (Bocksbeutel) originated. Try one of the country's best Silvaners at the cellar door in a baroque courtyard in the middle of Würzburg. Wine tours take you past both shiny metal vats and cobwebby barrels. Bürgerspital Weinstuben (buergerspital-weinstuben.de) has great Franconian dishes that make the most of the grapes, including a wine soup and wine-marinated sauerkraut, which you can pair with local Blaue Zipfel sausages. Consider that a romantic meal? Perhaps not, but you'll certainly be seduced. The writer travelled courtesy the German National Tourist Office and Romantic Road.